One of the most popular activities online is finding people to communicate with. We all crave relationships and human connection, and the Web has made this possible for more people all over the world than at any other time in history. Many people utilize sites that connect you with people that hold similar interests, to find and enrich these connections we have brought you the perfect app Cool Meet. Cool Meet app is a call for all singles to mingle. 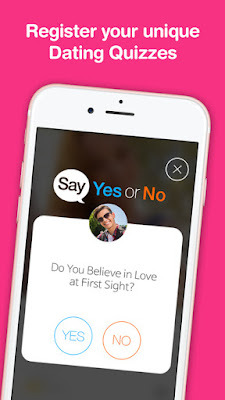 Cool Meet is an online dating app that helps you to meet the right person with unique matching system that allows you to answer the questions about your interests with easy answering options. Cool Meet gives you the glimpse at what people actually look like, who is your perfect partner and who have got shared passions instead of automatic systems that only depends upon only profile information and locations. The app gives you the reassurance to experience a safe and healthy dating and to make new friends. · Set your own Love compatibility test with your unique dating quizzes either manually or automatically. · The most amazing feature is of moving profiles, which means you have to set a 10 sec video about yourself instead of profile picture, so never being forced to trust fake profile photos. · Self-promotion feature that enables you to send a tailored message to the nearby people based on your targeted users. · Know about the real person with real interest they have and inbox them if they match your compatibility aspects.